يشكل فندق سوديما أوكلاند إيربورت بموقعه الممتاز في أوكلاند نقطة انطلاق جيدة لاستكشاف هذه المدينة النابضة بالحياة. يمكن من هنا للضيوف الاستمتاع بسهولة الوصول إلى كل ما تقدمه هذه المدينة النابضة بالحياة. كما يمكن الوصول بسهولة إلى بوترفلاي كريك, Hillcrest Hospital, مطار اوكلاند سيتى. إن الخدمات التي يقدمها فندق سوديما أوكلاند إيربورت تضمن للنزلاء إقامة مريحة. تتضمن الميزات الرئيسية في هذا الفندق: خدمة الغرف على مدار الساعة, مكتب الاستقبال على مدار الساعة, مرافق مخصصة لذوي الاحتياجات الخاصة, تخزين الأمتعة, واي فاي في المناطق العامة. بالإضافة لهذا,تتضمن كل غرف الضيوف مجموعة واسعة من وسائل الراحة . بعض الغرف توفر حتى تلفزيون بشاشة مسطحة, غرفة معيشة منفصلة, غرف لغير المدخنين, مكيف هواء, تدفئة لإرضاء أكثر الضيوف تطلباً. سواء كنت من محبي الرياضة أو كنت تتطلع لتفريغ عناء نهار صعب، ستجد خدمات ذات مستوى عالي بانتظارك كمثل مركز للياقة البدنية, حمام سباحة داخلي, حديقة. مهما كانت أسبابك لزيارة أوكلاند، فإن فندق سوديما أوكلاند إيربورت هو الخيار الأفضل لإقامة مثيرة وممتعة. Business trip. Half hour from the city and no options for dinner other than the hotel. Expensive wine and food for the portions. Butter chicken had 5 bites of chicken with plenty of rice and sauce for 30.00. Not good value in my book. The wine at 42.00 a bottle for a $14.95 retail wine is overpriced.rooms are clean, modern and quiet however but i would only stay here if you needed to be close to the airport or Auckland city hotels get ridiculously overpriced as they do. This is a convenient hotel for those who want a chance to to sleep before continuing their journey. Would be great if there was a playground on site or something similar. Being in a indutroal area not much things to entertain kids. Location pretty close to airport and around the corner few good esterys. Pool was nice and clean. Rooms clean nice and basic. Very comfortable. 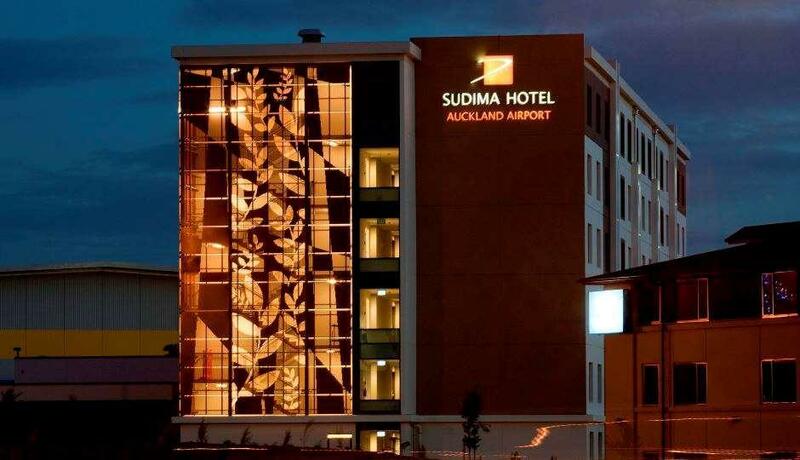 My wife was at a conference at the Sudima so I had plenty of time explore the hotel and surrounding area by Auckland airport. Golf driving range was fun and a minor workout. Hotel has a nice bar/coffee bar and the smorgasbord meal at the conference evening meal was excellent, particularly enjoyed the salmon in a light white sauce. We book one room to stay for one night before catching early morning flight. The room is fine and the staffs are very helpful. Good value of money. I always stay at this hotel whenever I fly out from Auckland. Airport shuttle is very efficient and rooms, although small, are clean. Overall a nice clean hotel from the grounds to the lobby to the room. Room was well appointed, clean and spacious. Staff were friendly and helpful both on our late night arrival and morning departure. The breakfast buffet was the equal of any, served in a spacious and relaxing environment. We would definitely stay here again. Great Hotel, clearly well managed. 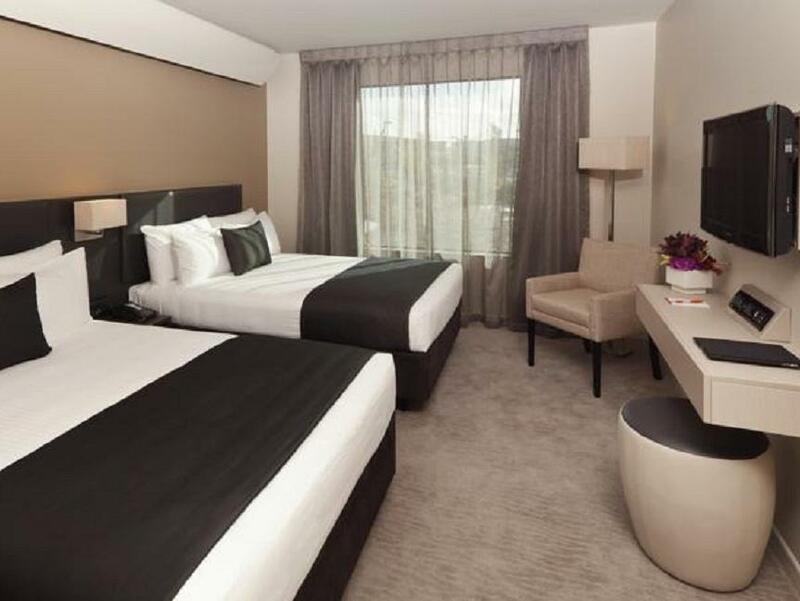 Smooth & quick check-in, very clean rooms & all the facilities you would expect to see. Bathroom looked brand new. The Yellow bus which runs throughout the area didn't turn up at Sudmima at 06:30am so (scheduled every 30 mins). We asked reception what had happened to the bus & they kindly dropped us off to the airport terminal. A good option for stop-over in Auckland when flying in late & leaving the next day. Only thing I would say in cons is that there was no fridge in the room we stayed in on level 2 whereas my sister stayed in a room on level 5 and they had a fridge. Also hassle was that the room cards never worked!! Having stayed at your Hotel several times in the last few years and had very favourable experiences we were very disappointed to find our selves placed in a disability room with one bed when we had booked a room with two beds. Also being woken several times during the night with someone trying to open the door between rooms and noise outside was not appreciated. When we queried the room change with reception he insisted we had booked that room when in all other stays had never booked such a room.,why would we,we are not disabled. Perhaps we will look at other accomadation options in the future. Reception staff are very helpful and friendly especially Rajesh who provide us with useful info during our stay there. Location is good as it takes only 15 min from airport. Will come back again. Stayed here before an early flight out of the country . The room is clean and the bed comfortable. 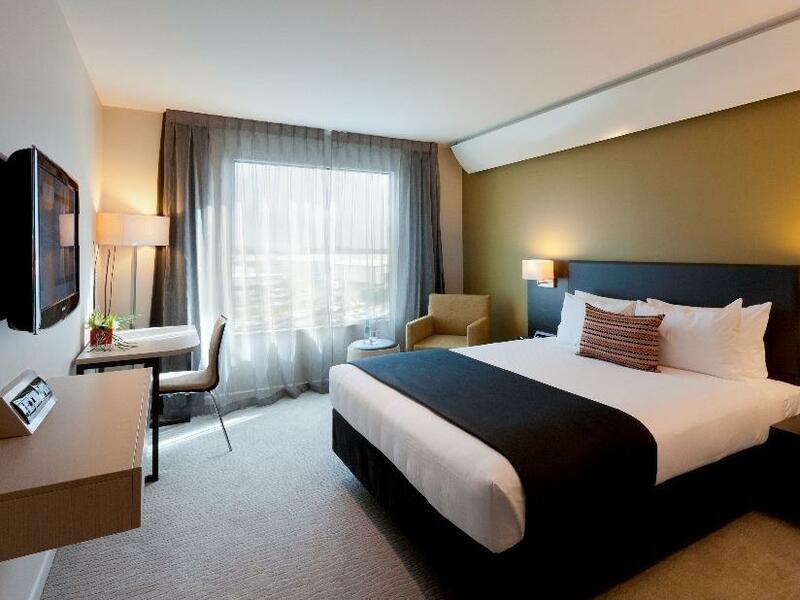 This hotel is conveniently located close to Auckland International Airport and would highly recommend this hotel to people with an early morning flight. Chose this hotel because of the proximity to both the Airport and Villa Maria winery. Was in AKL for 1 night for a Villa Maria concert. The Sudima met our expectations for both (was certainly close, including walking distance to Villa Maria), but exceeded our expectations for everything else. Lovely clean, comfortable room. Bar & restaurant were better than expected. Pool was a nice touch. Gymnasium was a little small & lacking in equipment, but better than nothing. Really impressed.